Spread across 17.5 acres of verdant surroundings, this green residential estate is conveniently nested in Sector - 168 on Noida Expressway. This contemporary landmark is designed especially for the youth of today, for whom no dream is too big and no ordinary is enough. Tastefully crafted for a generation which strives for excellence, Lotus Zing with its unmatched location and impeccable list of features is bound to delight the high flying "Gen-Next". 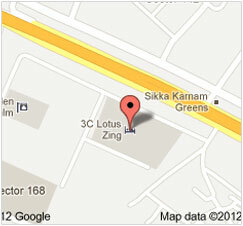 In the heart of Lotus Zing is the hub of sports and leisure, 'The Leaf'. Encompassing an area of approx. 70,000 Sq. Ft. and offering a world of latest amenities, this club is envisaged to be a perfect amalgamation of varied shades of the young and vibrant. "A life that is pleasantly SurpriZING!"